Shadows began to intrigue me more than 20 years ago when I, someone fascinated by calligraphy and the color of ink, moved from my beloved Japan to Australia. In a southern country whose language was different from mine, I was struck less by that difference than by the contrast of Australia’s drier air and clear blue skies, as well as by its bright light and the deep shadows it described. I came to feel a keen interest in shadows one summer day in a park when the shadow of a tree struck me as being practically an avant-garde work of calligraphy. My busy daily life kept me from practicing calligraphy then, but I would instead make rough sketches in my art diary, write down ideas for pictures and, substituting a camera for brushes, take pictures of shadows. Perhaps photographing shadows was, for me, like putting ink on white paper. To my delight, ABC Open’s Luke Wong has given my passion for calligraphy and shadows a new form of expression, through a video, complete with a place to present it. His keen sensitivity enabled us to complete a collaborative work on calligraphy and shadow in a very short time. 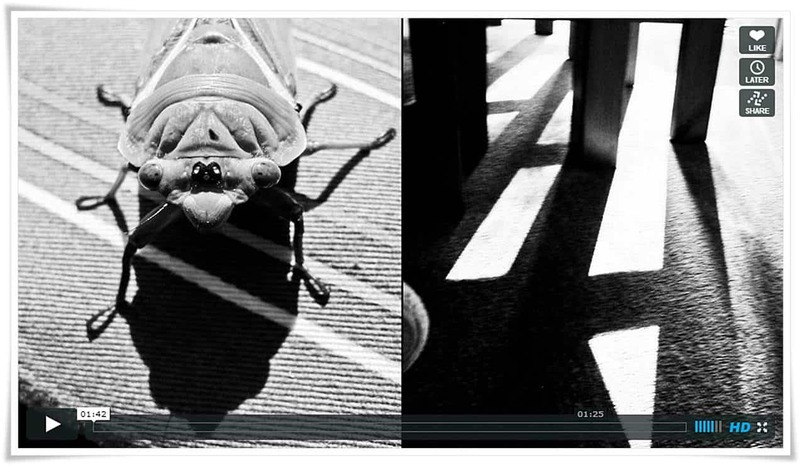 The video, just a minute and 42 seconds long, is essentially my first online exhibit. I’ll never forget the ink-redolent breeze that came from the windows of the classroom where I studied calligraphy from the age of five. My teacher Bakuzan Sakaki taught me that calligraphy is a type of design, and that the means of expression is up to the artist. Without sticking to particular ways, I hope to continue seeking out new forms of expression in calligraphy, to be true to myself. Japanese version can be found here. ← New Year 2014 greetings from Beyond Calligraphy. Were you born in the Year of the Horse? I presume you have encountered/read, Junichiro Tanizaki’s In Praise of Shadows. I have not read the book yet, but I have been interested in his book. I am pleased that you felt so.